As BWISP followers will know, the dynamic growth of the Boycott Divestment and Sanctions movement has led to the formation of Artists for Palestine UK, a highly organised collective representing writers, artists, filmmakers, dancers, musicians and other cultural workers united in their support of the cultural and academic boycott of Israel. BWISP remains present on the scene, ready when needed, and has been focused lately on promoting Palestinian literature in the form of A Blade of Grass: New Palestinian Poetry, a bilingual anthology that I, BWISP co-founder Naomi Foyle, edited last year for Smokestack Books. Since our last post, readings featuring poets Farid Bitar, Maya Abu Alhayyat, Marwan Makhoul and Mustafa Abu Sneineh have taken place in East Jerusalem, Ramallah, Amman and New York, and in the UK at BlakeFest (Bognor Regis) and the Ripon Poetry Festival, the latter at a City of Sanctuary event reflecting on the refugee experience and, in the words of poet Mustafa Abu Sneineh, challenging nostalgia in favour of resistance and reinvention. All of these events have been well-attended by informed and concerned audiences with many questions to ask, building a sense of friendship and community around the anthology. A Blade of Grass also continues to provoke thoughtful and appreciative reviews in journals from Poetry Review to Sofia, the literary journal of the Sea of Faith Network, where Nora Parr declares that the book ‘doesn’t deliver in the way you’d expect, but deliver it does.’ Finally, we have celebrated the release of Dareen Tatour from jail this autumn, after she was convicted of incitement on the basis of a poem, and served a five month sentence. A world tour surely beckons, and we look forward to hopefully welcoming Dareen in the UK in the future. To follow the book’s journey, please join us on its Facebook page. And if you don’t have it yet, A Blade of Grass can be ordered at any UK or American bookshop, or direct from the publisher. As of mid-October, it had sold 627 copies – which, considering most UK poetry books sell about 400 in total is pretty encouraging for our first year in print! 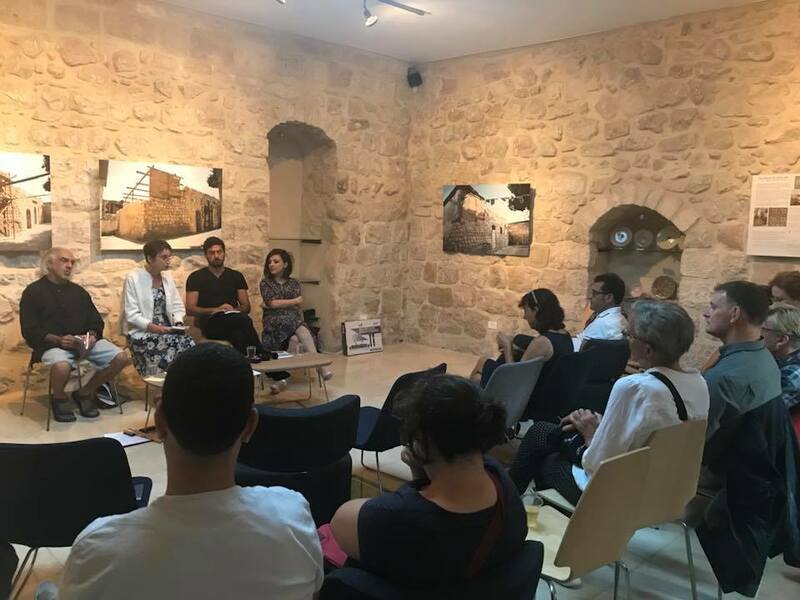 photo of Farid Bitar, Naomi Foyle, Marwan Makhoul & Maya Abu Alhayyat reading in East Jerusalem at the Al Ma’mal Foundation, photo by Al Ma’mal Foundation. we dig and then we bury things. Judith was a pioneer of third wave feminism, understanding from the start that the movement must include all women, and involve itself in decolonialist struggles, fighting against race, class, ableist and all other forms of oppression. In her work with Spare Rib and the migrant solidarity campaigning group Kalayaan, and in her writing about Latin America, Judith was involved from early days in internationalist and intersectionalist activism. As a human rights activist for Palestine Judith worked on many fronts. She wrote poems about Palestine, published in her last collection, Sister Invention, the Morning Star, and on her blog, where she also published political analysis and reflections. 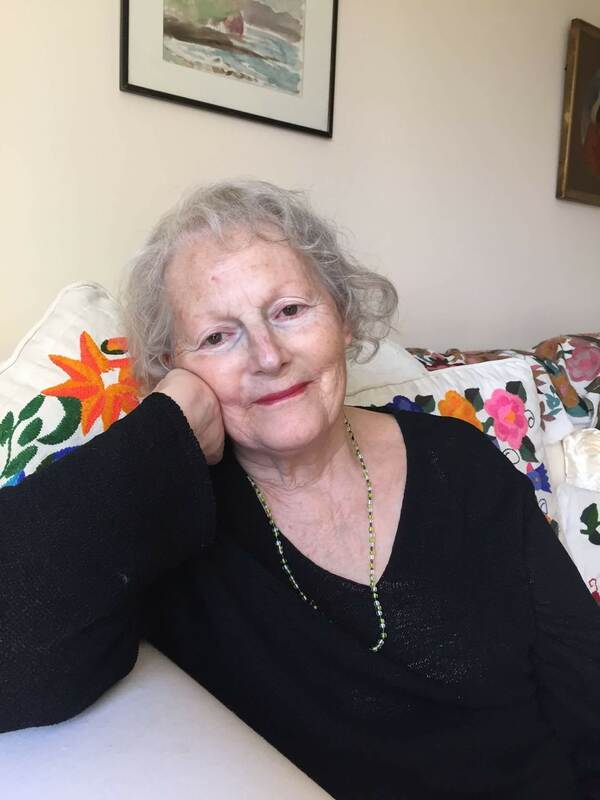 She was an active member of Brighton and Hove Palestine Solidarity Campaign, attending demonstrations, planning meetings, talks, fundraisers and supermarket protests. In 2009 she helped send a violin to Gaza, an instrument which, due to the blockade, was eventually donated to a music school in the West Bank. In 2010 she acted as co-consultant on the South Bank’s ‘Why Boycott Culture?’ debate. That Christmas she participated in Brighton’s annual Beach Hut Advent Calendar, helping to make the tenth night a vigil for a just peace in the holy land; footage of Judith in her big red woolly coat reading her poem ‘The Second Journey of the Three Wise Men’ was featured on the local BBC news. She also participated in BHPSC’s weekly demonstrations against the Brighton branch of Sodastream; as a chain with a factory in the occupied West Bank, the shop was subject to boycott and after a year of sustained protest, eventually the branch shut down. I am thrilled and actually quite surprised so many serious and good writers have responded so quickly. . . . the seriousness of the issue coming home to roost. It’s like it takes one person to say Come out and Stand up! To come full circle in this post, it is no longer surprising to see Artists for Palestine UK attracting long roll calls of artists and writers willing to take a stand against the apartheid Israeli regime. As the IDF continues to murder Gazan civilians in cold blood, simply for participating on the Great March of Return, the seriousness of Israel’s crimes is crystal clear to anyone with a vision of a world that respects human rights. Though Judith’s voice has been stilled, it is not silenced, but lives on in her work, lamenting, demanding and, always, loving. Freedom Flotilla II: No, Howard Jacobson, no. As the captain of The Audacity of Hope is arrested at sea, BWISP co-founders novelist Irving Weinman and poet Judith Kazantzis respond to Howard Jacobson’s attack on Alice Walker’s decision to join the Freedom Flotilla II. I’m writing as a novelist, like Howard Jacobson; as a Jew, like Howard Jacobson. Unlike Howard Jacobson, I’m American, though resident in England. Also unlike Howard Jacobson, I’m not a Zionist. 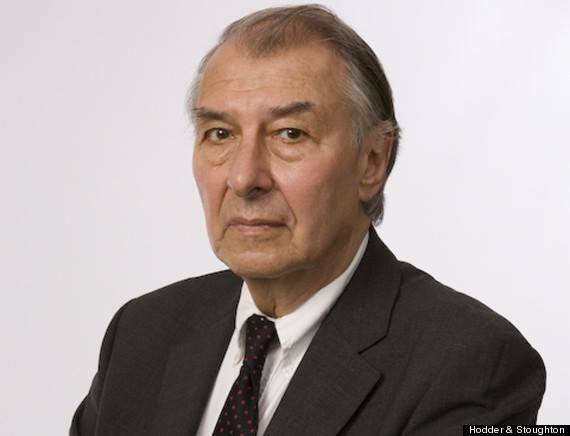 In writing what he has, Jacobson reveals his arguments for anyone to read and comment upon. And the fact is, his arguments are nonsensical. Does he really believe that Palestinian children in Gaza have the same sort of quality of life that Israeli children do? Do 80% of Israeli children depend on UN food relief for basic nourishment? No, Mr. Jacobson, this flotilla is about helping Palestinians in need. No, Mr. Jacobson, this flotilla is not going to enter Israeli waters, and stopping it outside Israeli waters breaks international maritime laws. No, Mr. Jacobson, the boats will willingly be searched for weapons. No, Mr. Jacobson, Israel will not take the cargo and deliver it. They didn’t with any of the other flotilla boats they stopped and whose cargo they took. And mostly, no, Mr. Jacobson you are not going to change the subject to the kids of Israel. 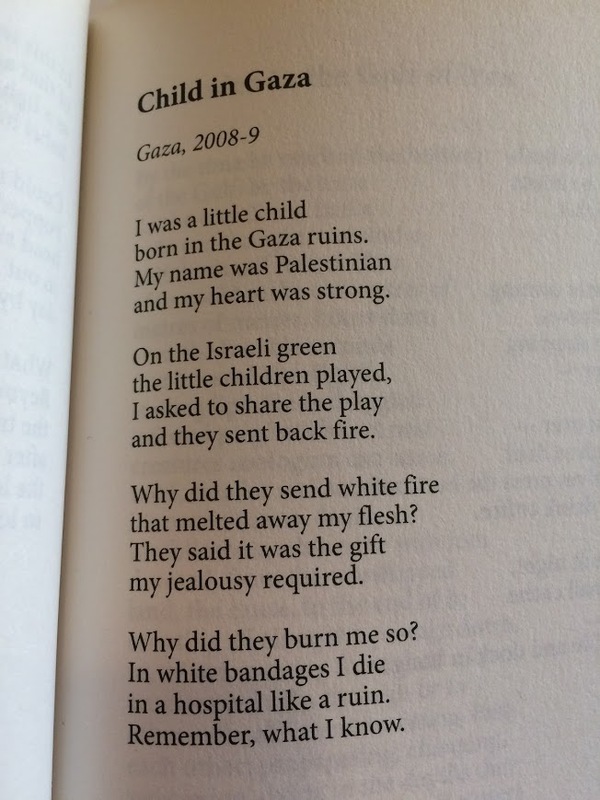 This is about the kids of Gaza, the ones who get to go hungry, go without clean drinking water, get white phosphorus dropped on them by Israeli grownups who indeed were once Israeli kids. So Israel supporter Howard Jacobson derides the brave Alice Walker and all the others on Flotilla II. It’s as if a Somali pirate were to blame a ship for being in the Indian Ocean. The UN makes the two points over and over again that, first, Israel is blockading Gazan waters – which do not belong to Israel – and, second, Israel has no right under international law to arrest any other ship in international waters. Should we infer that Jacobson as a British citizen denies established international maritime law? Howard Jacobson may think that the only good Americans are in AIPAC or the AIPAC packed Congress. Most of the left and the liberal left will see Alice Walker’s presence as heroic witness in a woman of 67 who needs no publicity but is ready to run the blockade in the name of justice and humanity. Perhaps in the long watches of the night, Mr. Jacobson finds himself a little bit jealous of such courage; but don’t bet on it. He sounds more likely to hero-worship one of those tough Israeli pilots whose play-station childhoods (bang – splatter) train them to button-push unmanned drones to bomb Palestinian children (bang – splatter) and to consider such murdering a patriotic virtue. As for the super weapon(s) with which it seems Mr Jacobson fears Gazans would annihilate Israel if they weren’t starved and besieged, this is official Israel Press Office paranoia – code name Tell It Like You Mean It – looped like a spider web round the world’s media to justify the eternal occupation of the Palestinians. The Big Lie. Not as pretty as a spider web. or bash into a wall or two. in a year and wounded several civilians. They crawled, howling. No surprise. state of the art material. of the Minister of Defence. Hold for an operator. Hello. Hello? Hello? and a blank cheque from your sponsors. It also helps to bully the U.N. Ignore that shape at the corner of your eye. you have a double shadow. the second lying faint on the grass behind you. whose invisibility lets you be seen. His silence gives you speech. God has given you the nuclear bomb to prove it. Judith Kazantzis is a poet, novelist and activist based in East Sussex. Frankie Green is a writer, musician and activist living in Kent. The best of this bright season to all our readers from everyone at BWISP. We are thinking especially of the people of Bethlehem at this time, and highlighted their plight to the people of Brighton on Dec 10th as part of the city’s annual Beach Hut Advent Calendar event. See the war horse saddled with crimes. we cared for only one. we must come back again. That winter, what did we know? And so we come again. We left quietly once and long ago. down the souk of the mind. a bitter night for what was festival. a second coming in your silent sky. the safe shepherds of their dreaming. And this is why we come again, we stay. This time we will not go away.